Imagine a vast network of trails connecting our cities to the countryside and countless communities to each other… linking neighborhoods to workplaces and congested areas to open spaces…serving both transportation needs and the demands for close to home recreation. Consider the possibility of a safe, clean, trail focused on enhancing the environment and wildlife. This is the hope for the Musketawa Adopt-a-Trail program. The Program is modeled after state and local Adopt-a-Highway programs. The Musketawa Trail is a 25 mile long recreational trail, from Marne to Muskegon, Michigan. It passes farmlands, wetlands, woods and villages and crosses over creeks and streams. It offers a four-season adventure for the outdoor enthusiast, living healthy and having fun. A safe and natural environment for individual, family, and organizational use is enjoyed by bikers, snowmobilers, horseback riders, rollerbladers, cross-country skiers, wheelchair travelers, hikers, and nature lovers. Friends of the Musketawa Trail is a nonprofit organization of West Michigan volunteers excited and committed to turning the old railroad bed between Marne and Muskegon into a recreational trail. The Friend’s mission is to act as a public advocate in support of the trail. As advocates, the Friends hope to gain the support of government agencies, local businesses, and private citizens in constructing and maintaining the trail. The Friends are involved in construction projects, lobbying, fund raising, trail beautification, habitat and wildlife preservation, etc. Local businesses are encouraged to support these efforts in view of documented economic benefits brought on by similar trails. 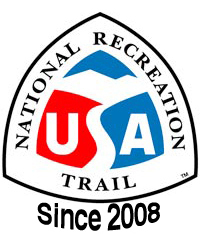 The Department of Natural Resources (DNR) has purchased the trail, funded developmental studies, and is providing primary funding for the trail. 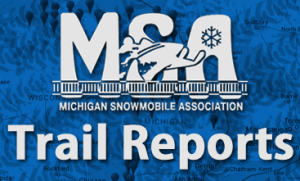 Through our partnership, our area can have a recreational trail to compare with other highly successful rail-trails throughout Michigan, eventually tying into others to provide a regional network. Come join the efforts! All Projects must have the approval of the Musketawa Trail Manager. Organization agrees to a two year period with four clean up dates per year in April, June, August, and October. Any group or organization with ten or more participants. Organizations must be based in Muskegon, Ottawa, or Kent Counties. Musketawa Trail will provide safety rules, safety vests, refuse bags, refuse pickup, recognition sign located on the trail segment (acknowledging the name of participating group), and adoption certificate.